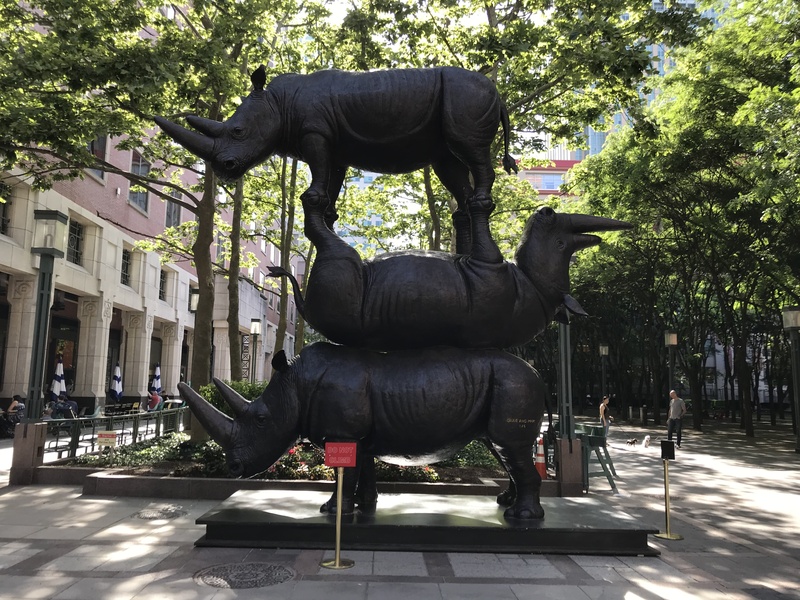 DOWNTOWN BROOKLYN – The Last Three, the 17-foot-tall bronze sculpture depicting the last three northern white rhinos in the world stacked atop one another has been relocated from Manhattan to Downtown Brooklyn. 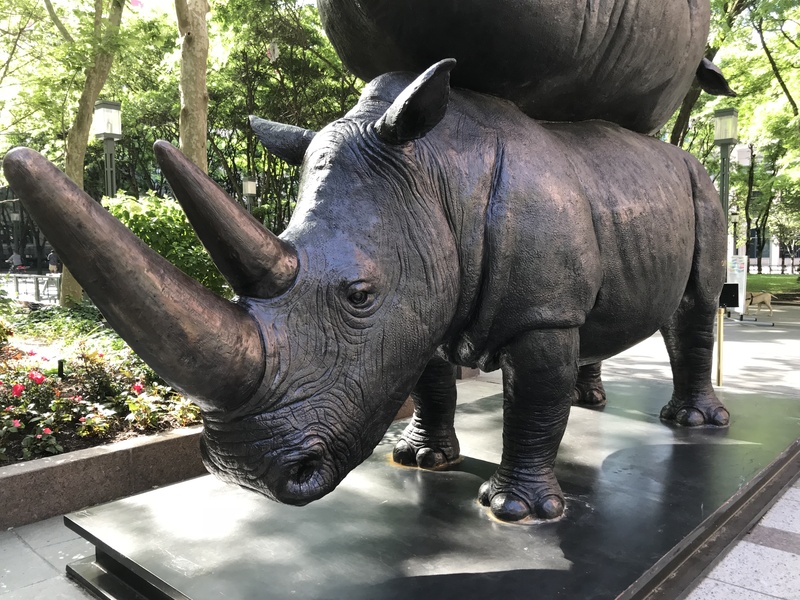 Originally installed at Astor Place in March 2018, the life-sized artwork was created by artists Gillie and Marc Schattner to raise awareness to the imminent extinction of the northern white rhinoceros, raise funds to protect the animals, and encourage viewers to join an online petition. “From a population of 40,000 there are only two northern white rhinos left, making them the rarest animals on earth,” the artists’ website states. Though their horns are made of keratin, the same material as a fingernail, some in countries including China and Vietnam believe they contain medicinal benefits, leading to the poaching of the northern white rhinos “to imminent extinction.” The artists hope the sculpture will lead viewers to their website where they can write goodbye messages to the two last surviving white rhinos, Najin and her daughter Fatu. Sudan, the last male white rhino and father of Najin, died on March 20 at the age of 45. In March 2017, the Schattners traveled to the Ol Pejeta Conservancy in Kenya where they spent time with the three rhinos. Armed guards protect the animals 24-hours-a-day. Jacob, the rhinos’ primary caretaker, allowed the artists to observe, photograph, and sketch the trio, and even let them get close to and touch the tame and gentle creatures. 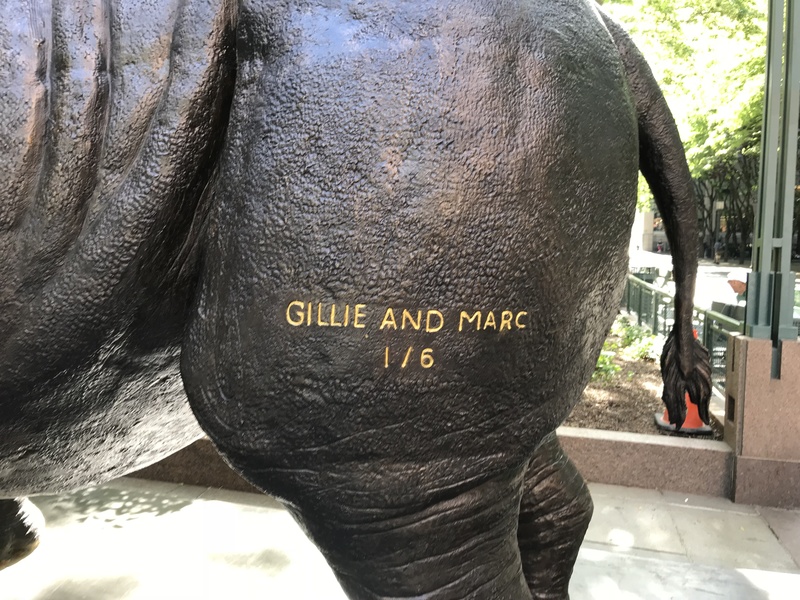 “Gillie and Marc were overwhelmed with love and grief, and felt so honoured to be in their presence for so many hours,” their website reads. 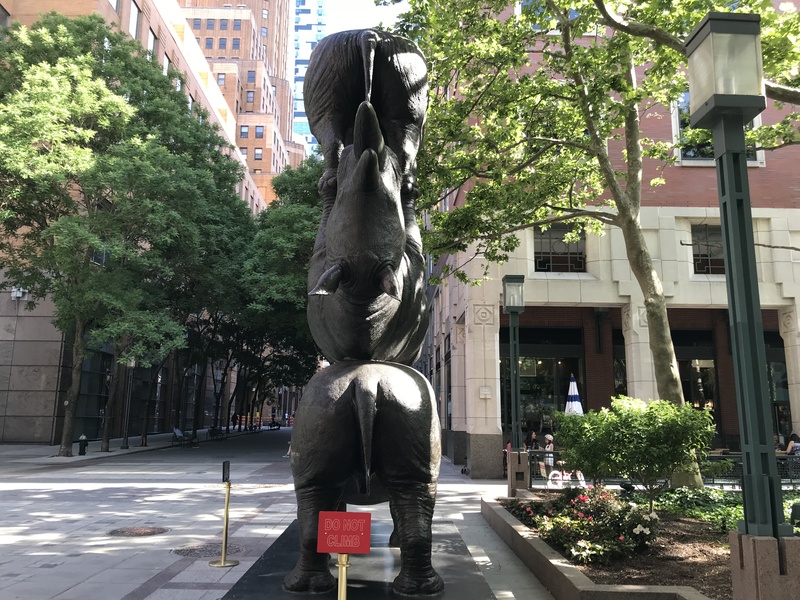 The artists will also install additional sculptures in major cities around the world to raise awareness for other endangered species. To learn more, donate to the Ol Pejeta Conservancy, and to join the petition, go to goodbyerhinos.org. 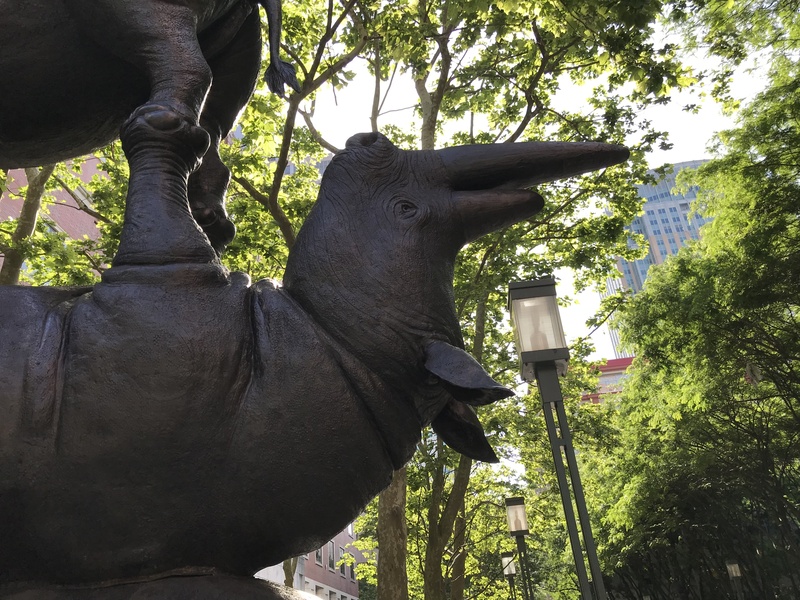 If you post a photo of the sculpture on social media, use the hashtag #goodbyerhinos. The Last Three is on view at MetroTech Commons (at Bridge Street) from Wednesday, July 13 through February 12, 2019.